It is possible to download a pdf file of issue #No. 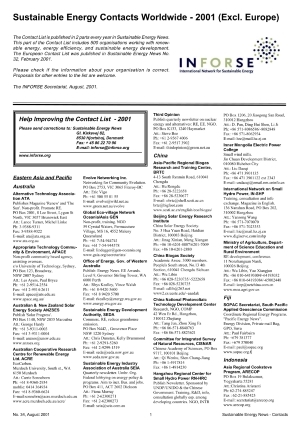 34 Contact List - Asia, Africa, Americas 2001 (115 KB pdf file) 14 pages. There are 90 INFORSE members on the list.